In this section we will explore the IHC D-2 Series specifications in more detail, and we will provide schematics and images wherever possible. There are also pages on company advertising (primarily D-Series), general history, truck history, IHC logo history, general parts, tune-up parts, and even how to tell exactly what year your truck was manufactured. As always contributions are most welcome. 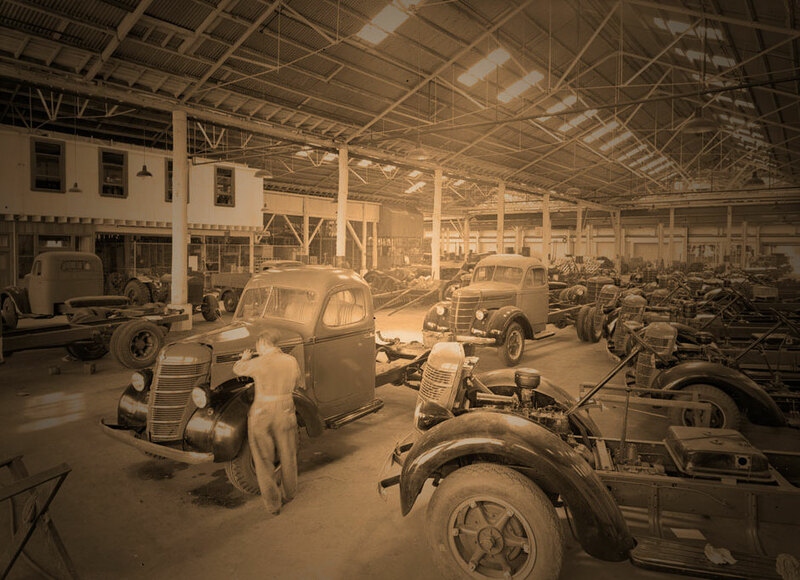 The late 1930s were a high point for International Harvester Company trucks from all standpoints. The D-Line debuted in March of 1937 and was every bit as trendy as anything built by the others, and just as technically advanced. The cabs were all steel and roomy enough for three men. These were the first trucks to be worked over at the new test facility for International Harvester Company (IHC) in Fort Wayne, Indiana. This line is also known for being the first time International had put a serious amount of energy and effort into styling. These trucks were styled using clay models, just like cars of the day. Because it was the first time International had done that and it resulted in what is considered by many to be the most attractive IHC truck line in the context of its era and market. 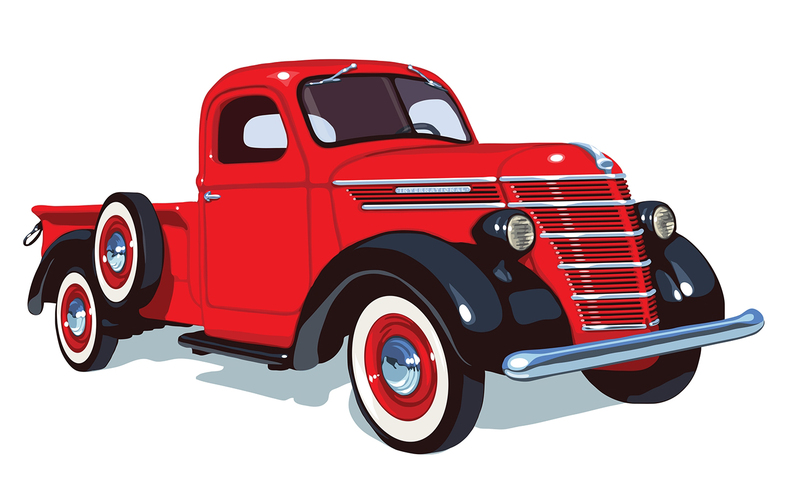 The late ‘30s D-series truck is often considered to be IHC’s most beautiful and stylish truck. The D-Line and the new K-Line coexisted in 1940. Despite the fact that the K-line was a 1941 model they were introduced very early and were produced in large numbers in 1940. One interesting tidbit is that the lowest GVW truck did not use the expected D-1 designation. This was to avoid confusion with the previous Willys-sourced D-1. The D-2 and D-5 half-ton line held the bottom GVW, half-ton positions in the lineup. 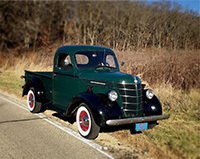 As with the previous C-Line, the D-5 was the “economy” version of the D-2, with a Waukesha 133 ci four-cylinder L-head engine. The D-2 had the option of the “Economy Six,” a 175 ci L-head six (a small bore version of the HD-213) or the 213 ci HD flathead. In this era, the former Willys engine was also enlarged to 232.8 ci via boring and stroking and used in the larger trucks. By this time IHC was fielding some really big stuff too, as well as very stylish COE (Cab Over Engine) DS-300 trucks.